I have a new kit going into all the stores. 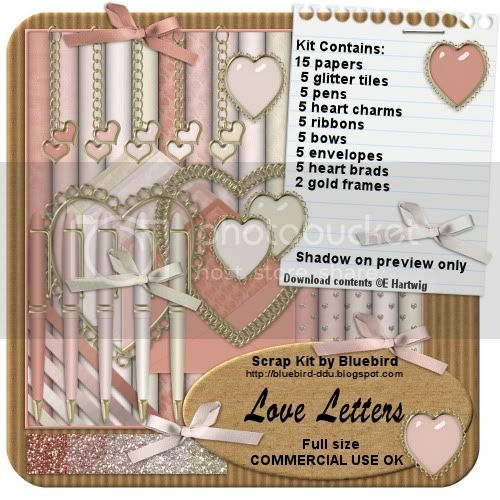 It's called Love Letters and is perfect for those Valentines pages and tags. The kit is available in full size (CU OK) or Taggers. Very pretty, I love the flowers you've used :) Thank you for sharing! Thank you for sharing this lovely kit and your awesome talent. Awesome new kit and freebie - thanks so much! Thank you! Your blog post will be advertised on the CraftCrave DigiFree search engine today (look for timestamp: [27 Jan 02:00pm GMT]). Thank you so much for this Freebie. 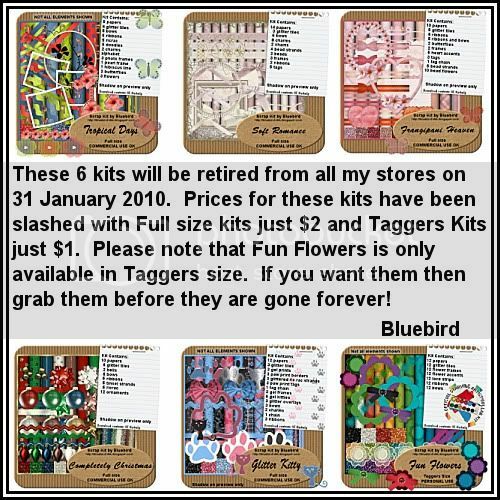 I want to let you know that I posted a link to your blog in CBH Digital Scrapbooking Freebies, under the Page 2 post on Jan. 27, 2010. Thanks again. Gorgeous wee kit. Thank you so much. What a pretty kit, thanks for sharing. Thanks so much! Very nice spring colors. Thank you so much for the awesome kit. Your designs are beautiful. You are truly a talented artist.